This collection explores the centrality of The Who's classic album, and Franc Roddam's cult classic film of adolescent life, Quadrophenia to the recent cultural history of Britain, to British subcultural studies, and to a continuing fascination with Mod style and culture. The interdisciplinary chapters collected here set the album and film amongst critical contexts including gender and sexuality s… tudies, class analysis, and the film and album's urban geographies, seeing Quadrophenia as a transatlantic phenomenon and as a perennial adolescent story. 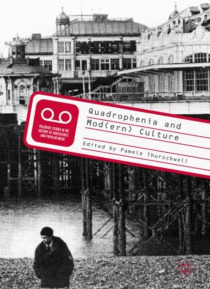 Contributors view Quadrophenia through a variety of lenses, including the Who's history and reception, the 1970s English political and social landscape, the adolescent novel of development (the bildungsroman), the perception of the film through the eyes of Mods and Mod revivalists, 1970s socialist politics, punk, glam, sharp suits, scooters and the Brighton train, arguing for the continuing richness of Quadrophenia's depiction of the adolescent dilemma. The volume includes new interviews with Franc Roddam, director of Quadrophenia, and the photographer Ethan Russell, who took the photos for the album's famous photo booklet.